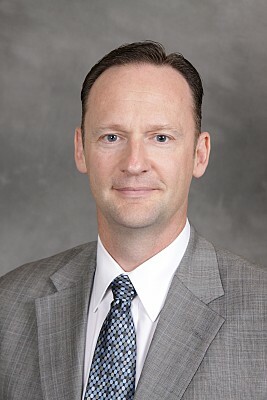 Dan Nicholson was appointed General Motors Vice President, Global Electrification, Controls, Software and Electronic Hardware in January 2019. He is responsible for all electrified propulsion products including batteries and electric drive units. He is also responsible for all electronic control systems and strategies, software and associated electronic hardware for all General Motors products globally. Prior to that, Dan was General Motors vice president, Global Propulsion Systems. In that role, he was responsible for all propulsion products including engines, transmissions, fuel cells, electric drive units and batteries. Nicholson began his General Motors career as a co-op student at Buick Motor Division in 1982. He has an extensive background in product engineering at GM and has progressed through a series of leadership positions including director of controller integration, director of engine calibration, chief engineer for V-8 engines, managing director of GM Powertrain-Germany GmbH, executive director for global powertrain embedded controls, vice president of Global Quality and vice president of Global Powertrain. Nicholson earned a Bachelor of Science degree in mechanical engineering from General Motors Institute (now Kettering University), a Master of Science in mechanical engineering from Texas A&M University and a Master of Business Administration from Stanford University. Nicholson is a registered professional engineer in the state of Michigan. He is an SAE Fellow, president of the Engineering Society of Detroit, chair of the Trustees for the SAE Foundation and was recognized as a 2019 Automotive News All-Star.